You may or may not have noticed that I didn’t update my blog much the past three weeks. The reason being a rainy getaway in Tokyo. The next thing you might notice is that this post is deliberately poetic. It can’t be helped – I felt obligated to express my feelings here after my visit to Janice Wong Dessert Bar in Shinjuku, Tokyo. Truth be told, I miss being a university student studying English and films a bit too much at the moment. Janice Wong, my idol, so bold, so brave, so adventurous, for her my admiration is like a tidal wave – unstoppable and recurring. A renowned Singaporean pastry chef, forever changing and challenging people’s perception of food. What she offers to the world is an edible form of art; she artfully puts forward a performance full of surprises, one that simultaneously stuns and mesmerises her “audience” in the most devilish ways. That said, looking through her dessert menu was eye-opening enough, for every dessert seemed so heavenly and well-designed that I couldn’t wait to devour all of them. After some intense struggles, I decided to order Chocolate H2O (please tell me who doesn’t find chocolate irresistible). One of the main factors of the unique eating experience here is that you, as the curious customers, get to witness/engage in the dessert-making process – I could see the focus and passion in the staff’s eyes when they brought the desserts into life, attending to every single detail of the final dish. As I watched, my hungry soul was already aching to have a taste. Chocolate H2O (Bitter chocolate water mousse/Salted caramel/ Yuzu kalamansi gel/ Yuzu sorbe) definitely made its presence felt through its visual aesthetics. One thing I can’t resist about Janice Wong’s dessert is how every single element of the dish maneuvers its ways into creating some sheer magic. The bitterness of the chocolate was effectively elevated by the salted caramel, but then balanced by the slightly sour yuzu components. Such a fine combination of flavours made every bite an absolute pleasure – it instantly filled my heart with happiness, as if some sort of ecstasy flew through my blood. 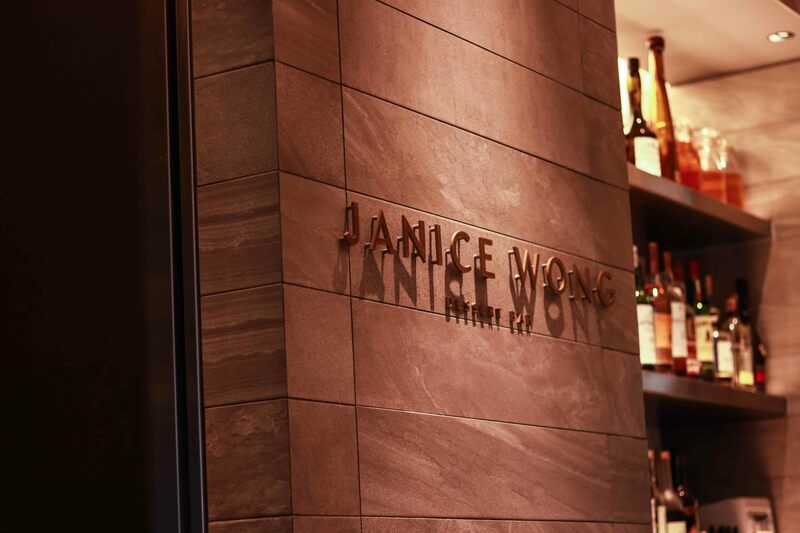 To end this post, I am going to put up Janice Wong’s philosophy about her approach to food as a timely reminder for myself. “Welcome to our artistic gastronomic world of flawless imperfection and flawed perfection. It is not to complex. Open your mind as I have and you will, too, see, taste and feel differently. as long as you know what you’re aiming at, the sky is the limit to how far you should go to achieve it. It’s a wonderful and rewarding Tokyo trip!